A version of this article originally appeared in the Hampton Roads Virginian-Pilot on Sunday, December 15. No doubt about it, Virginia is for lovers of offshore wind. It’s hugely popular with the public, and Virginia legislators passed a near-unanimous resolution in its favor. Governor McDonnell talked it up, and even tossed it some bucks. Governor-elect McAuliffe is such a fan that he made television commercials about it way back in 2009. But all that love won’t get us turbines in the water unless Dominion Virginia Power decides to build them. Dominion is the key player after winning the exclusive right to develop the federal lease area 25 miles off Virginia Beach. The company has five years to study the area and come up with a construction and operations plan—or not. Right now the company is being coy about whether it will move forward come 2018. Alas, Virginia, getting offshore wind turbines is going to take more than sweet talk: we have to start laying the groundwork now for that trip down the aisle. So here’s a to-do list to help get us there. Governor McAuliffe should declare offshore wind a priority from the day he takes office. Only two test turbines are likely to be spinning before the end of his term, but he can make it clear he expects Dominion to meet all of the milestones in its federal lease, ensuring the next governor presides over the big buildout. The governor and the General Assembly can also prove their ardor by funding ocean studies that have to be conducted before construction starts. 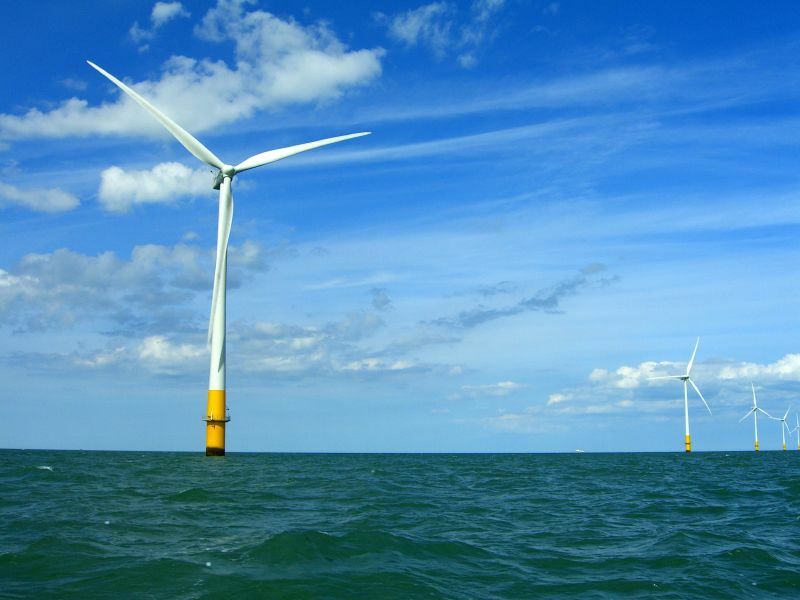 The developer of Rhode Island’s wind energy area, Deepwater Wind, expects to have its turbines spinning only five years from now thanks to state-sponsored ocean studies that, Deepwater says, translated into a three-year head start. It’s an approach Virginia should emulate. The public will pay for these studies one way or another—either as taxpayers or as ratepayers—and footing the bill now will help us make up time. The governor can also direct an analysis of workforce and port readiness so we begin to train workers and put in place the infrastructure needed for this huge new industry. Of course, creating a skilled workforce is hard to do with no wind projects now in Virginia. Building land-based wind here would support the growth of the workforce and the supply chain, and give everyone experience with wind energy here. One project might be the wind farm proposed by Iberdrola in northeastern North Carolina, within commuting distance of Hampton Roads workers. Dominion turned down the chance to buy energy from the project a few years ago, and it hasn’t been built. The General Assembly could turn that around with legislation to require our investor-owned utilities to incorporate wind power into their energy mix. Why support a project in North Carolina? The simple fact is that offshore wind is too big an industry for any one state to go it alone. Creating scale and keeping costs down demands a regional approach. Cooperation means both states win. In addition to North Carolina, the governor should partner with Maryland and Delaware, which also have federally-designated wind energy areas off their coasts. Regulators, and the public, also need to see an analysis of what impact this energy will have on our electric bills. Harder to quantify, but just as important, is a full understanding of offshore wind’s benefits. Such a study might begin with a survey to identify those Virginia companies that could participate in the supply chain, what new businesses and jobs the state might attract, and how the economically distressed regions of the state can best participate. When the time comes, the State Corporation Commission will have to do its part by approving both the two test turbines and, later, the full wind farm. The legislature can help by declaring an offshore wind farm in the public interest—a short step beyond its earlier resolution, but one with actual weight. Virginia offshore wind may still seem to be off in the future, but now is the time for the incoming McAuliffe Administration and the General Assembly to prove their love. Otherwise, Virginia just might get left at the altar. This entry was posted in offshore wind, Renewable energy and tagged Dominion Power, energy, environment, offshore wind, Virginia, wind power. Bookmark the permalink.